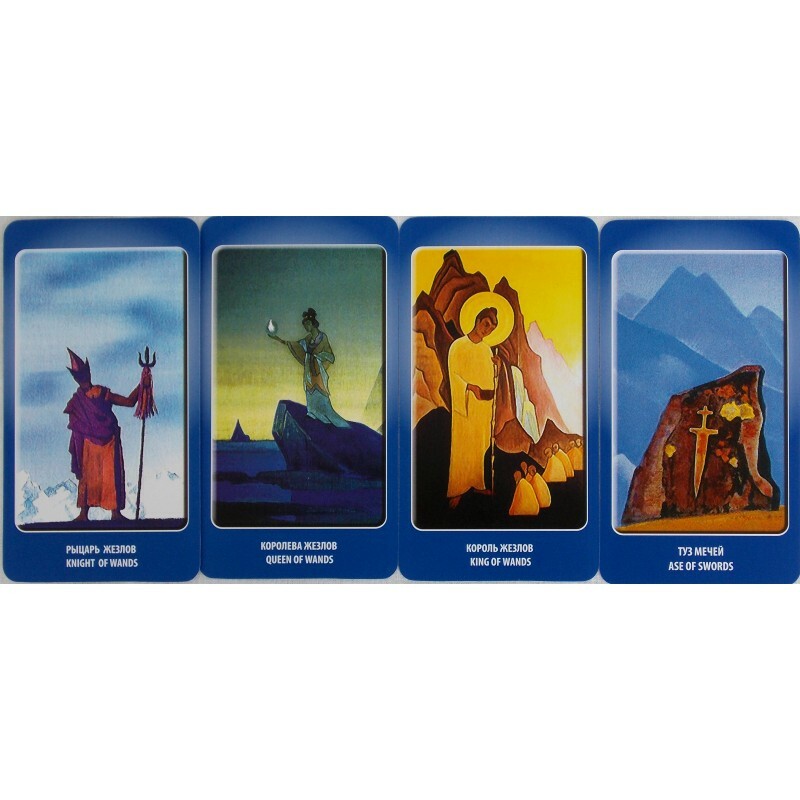 Tarot Agni Roerich set. Issued by a Ukrainian publisher. Set contains 78 cards (titles on Russian and English) hardcover Book (on Russian) and Velvet bag. 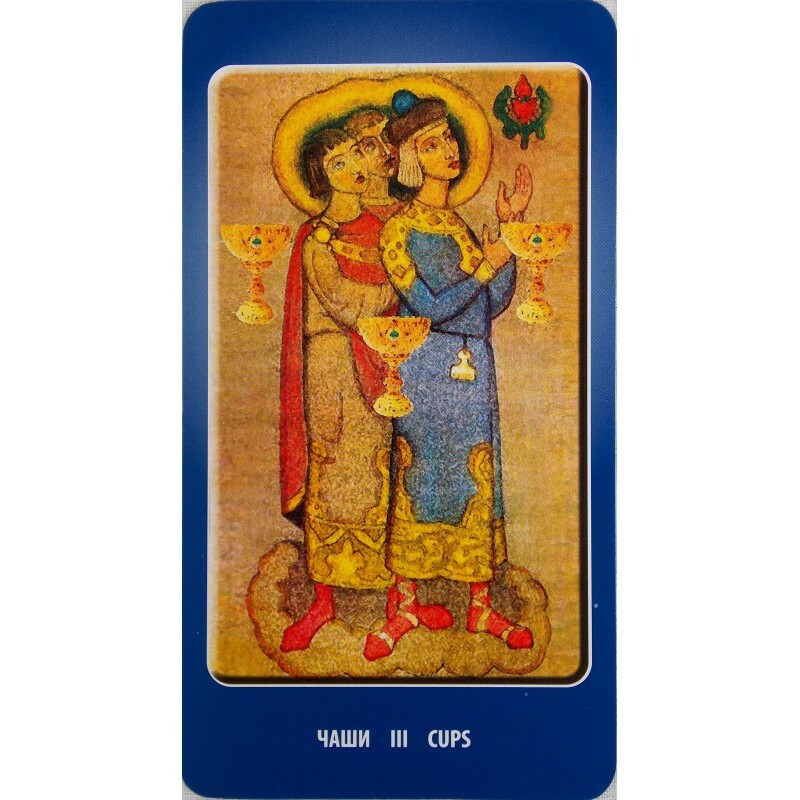 Cards are slightly bigger than usual tarot card. Tarot Agni Roerich set is an excellent print quality. 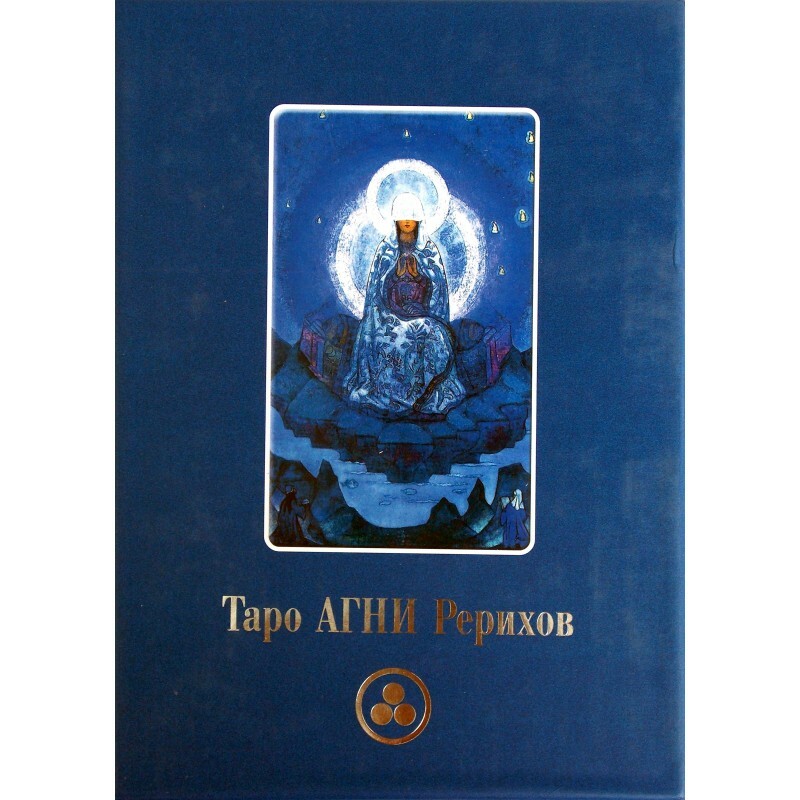 Paintings Nicholas and Svetoslav Roerich used as powerful symbols in the Tarot deck Agni, with one goal - to help the seeker to find path to find answers to questions that will help make the right choices along the way. Help to see their lives in the context of an apprenticeship, learning to see the hidden meaning of the phenomena occurring in his life, events, relationships. 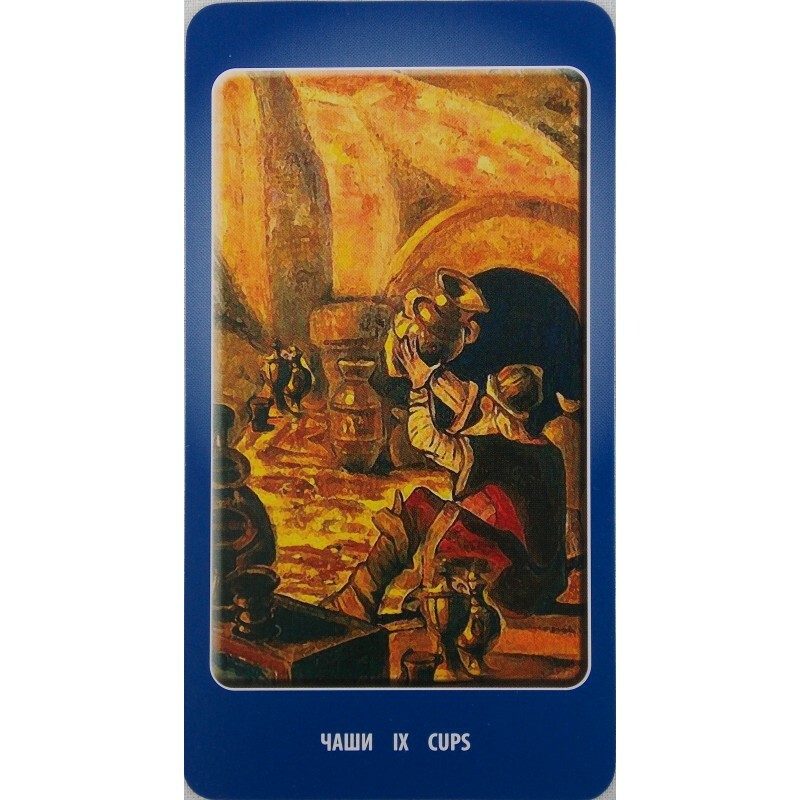 The mission of the deck - "include" interacting with it in the process of further research and development, to help expand consciousness, to teach a lesson to see what is going to be an advisor on the way for those who seek the truth, and the truth. 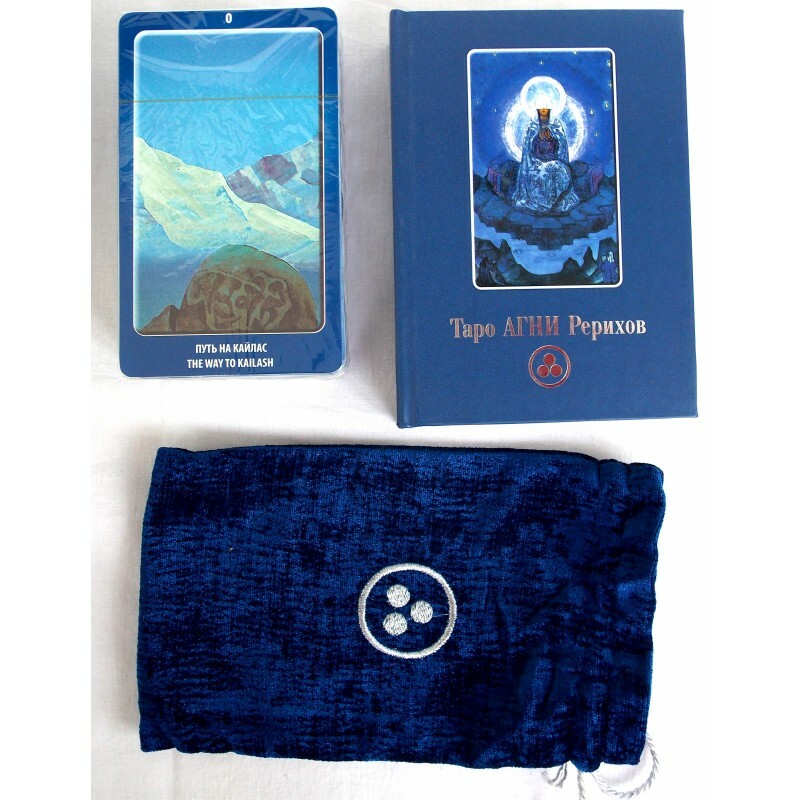 AGNI Roerich Regular size deck.